How to hack together Neo4j's Cypher statements to conditionally execute code, along with examples of working with API response metadata. This post will cover some advanced Neo4j concepts and how I hacked Cypher commands together to improve feedback on the BloodHound Owned extensions project. I’ll specifically cover how to create conditional statements in Cypher by combining a CASE expression and FOREACH clause. Although the examples are in context of BloodHound, I hope Neo4j & Cypher users in general find it helpful. This post doesn’t cover introductory Cypher concepts. I highly recommend reading Rohan Vazarkar’s Intro to Cypher blog post as a primer for Cypher and its usage in BloodHound. One of the concepts covered can also be read about on this blog. This came about while I was trying to figure out how to provide granular feedback to Cypher queries issued by bh-owned.rb. I wanted users to know exactly what happened on the backend after running a command, that way they can tweak their input if needed. 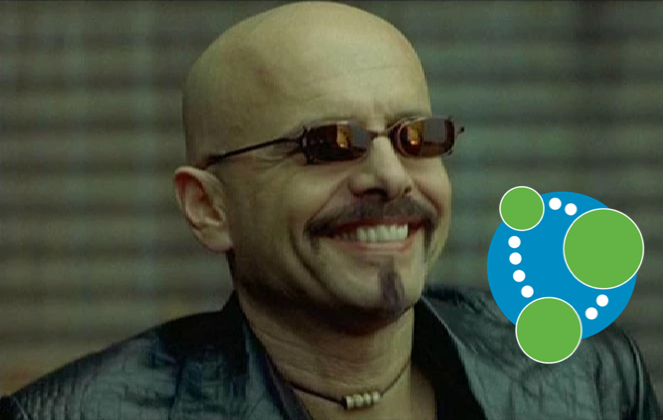 I want a single query I can POST to the Neo4j REST endpoint. I also want enough detail in the JSON response so I know which of these three outcomes actually transpired. Neo4j’s REST API has a parameter called includeStats that you can tack on to requests. When added, it will include some metadata about the transaction in the JSON response. This includes statistics like the number of nodes created, relationships deleted, and properties set. We’ll use this to help us determine what happened on the backend after a user POSTs a Cypher query. For this example, let’s say I want to add User “[email protected]” to wave “1” via “LLMNR”. Great, this sets the two properties I want and it doesn’t overwrite existing ones. Notice that “properties_set” was 0 because this node already had the custom properties set. But what happens if we don’t find the node? For example, if ‘name’ was misspelled or if a node with ‘name’ was never added? It’s the exact same response (except for the name being misspelled). There’s no way to differentiate between a “node not found” error and a “properties already exists” scenario. That’s not helpful to a user. I want to conditionally set properties, but I need a way to discern between the three scenarios. Here’s where we get creative. The problem is that CASE is limited to returning a literal expression. We can’t put clauses like SET or MATCH inside a THEN. That makes it difficult to do something like setting a property conditionally. This is nifty, but we only want to perform clauses under certain conditions, like when a property does or doesn’t exist. 1. MATCH (n) WHERE (n.name = '[email protected]') : Match nodes where the ‘name’ property is equal to ‘[email protected]’, store node in variable named ‘n’. 2. FOREACH (ignoreMe in CASE : FOREACH will loop through a list or path. We’re not passing in a list or path directly though – we’re passing in the result of a CASE statement. The result will either be a list with one element (if true) or an empty list (if false). As the name suggests, we can ignore the ‘ignoreMe’ variable because we’ll never use it, we just need it there to satisfy syntax. 3. WHEN exists(n.wave) THEN  : Here’s where we can specify the “if” conditional. If the ‘wave’ property already exists for our node, then pass a list with one element () back to the FOREACH clause. This means we want to execute the clause (| SET n.wave=n.wave) once. This is our “true” condition. 5. FOREACH (ignoreMe in CASE : Again, we’ll loop through the result of a CASE statement (which will return an empty list or list with one element). 6. WHEN not(exists(n.wave)) THEN  : If the ‘wave’ property doesn’t exist for our node, then we’ll return a list with one element and ensure we execute the clause. 7. ELSE  END | SET n.owned = 'LLMNR', n.wave = 1) : If the ‘wave’ property does exist, then return an empty list () and skip execution of the clause. However if we return a one-element list () then the ‘wave’ property doesn’t exist and we’ll execute | SET n.owned = 'LLMNR', n.wave = 1. In this example, we set two properties. 8. RETURN '[email protected]','1','LLMNR' : The primary goal of conditionally setting properties is already done by this point. We RETURN the inputs (name, method, wave) so we can make parsing the API response easier. If “properties_set” is 0, then the node with ‘name’ wasn’t found, so the FOREACH statements didn’t execute. This happens when ‘name’ is misspelled. If “properties_set” is 1, then node was found and the ‘wave’ property already exists, but we didn’t overwrite it. We need something to distinguish this scenario from the third one below, so we set ‘n.wave=n.wave’ which technically means we set one property. If “properties_set” is 2, then the node was found and the ‘wave’ property didn’t exist, so we created the ‘wave’ and ‘owned’ properties. Here’s what each scenario looks like when using bh-owned.rb. Take note of the “properties_set” key in the JSON responses.